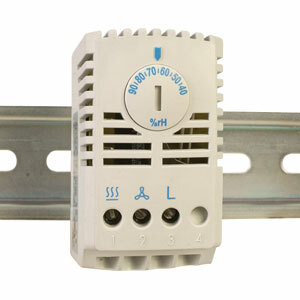 The RH-FGHS100 is designed for controlling the humidity levels in outdoor enclosures and control panels. This aids in the protection of electronic circuitry and prevents the absorption of moisture by internal components. Nota: Comes complete with operator’s manual. DIN rail sold separately.